Season 2017-18 will undoubtedly go down as the most successful one in Pembroke’s long history, because so many teams have reached national and local finals, the senior team won their National League campaign and played very well in the Pembrokeshire KO Cup final versus Aberystwyth. Since 1896, the wisdom and foresight of the club’s officers, who were responsible for the management and development of the club since the early days, has secured the future of rugby in the town for generations to come. 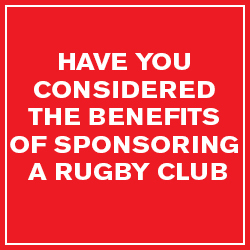 The Club continues to be supported by a large, loyal membership and many very generous sponsors. The general committee has invested very wisely over generations, consequently, the Club owns all three of its playing areas, has built up the extremely important infrastructure, that includes the stand, excellent changing facilities, floodlighting systems for all pitches, a recently refurbished bar and function room and a modern efficient kitchen overseen by a truly magnificent Ladies Committee, which means that the players, members, supporters and all visitors alike are given a genuinely warm welcome and excellent hospitality, a trait for which the club has always been renowned. The Club, for many years, has had a thriving junior section, with teams from Under 7s to Under 15s, the newly formed Under 17s, the Youth squad, a Second XV, an active Veterans section and a very successful Senior XV; whilst this summer has seen the emergence of a newly constituted Women’s team, which will provide a pathway for girls and adults to possible County, Regional and international recognition, in an area of the game that is presently flourishing across the Principality. All of these sides are coached and run by a very large number of fully committed and dedicated former players, members and parents, all of whom give freely of their time and experience to become qualified and provide opportunities for youngsters, men and women in our community to play and enjoy our wonderful sport. During this season a number of the junior age groups has performed very well in friendly and Cup competitions, with the U11s and U14s performing at the annual County Finals day, which is a matter of great pride to all involved and showcases the young talent that exists around the whole County. The Youth and newly formed Under 17s squads too have enjoyed excellent seasons and the conveyor belt continues to flourish in the club, as witnessed by so many of our Youth players integrating into and playing so well in the two senior teams. 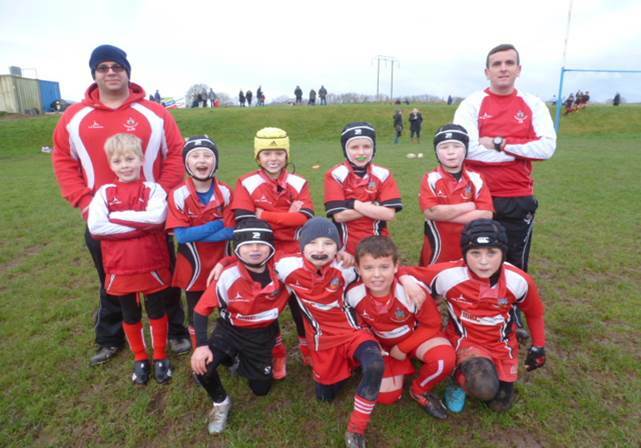 In recent seasons and in years past, some of our Youth products have also gone on to play for the County, Aviva Premiership, Scarlets, Wales, Scotland and a few overseas clubs, which is testament to their dedication and the expertise of our coaches, who helped them to start their rugby journeys. The present very young Youth squad has had an exceptional season; whilst performing well in local Leagues and Cups, they have fought their way to the WRU National Plate Final, for the very first time and created a truly memorable piece of personal and club history. The final was played at the Principality Stadium on April 21, which was a momentous achievement for such a young squad, who simply could not wait to run onto that hallowed turf, for an experience of a lifetime. A massive band of supporters travelled with huge expectation and much anticipation to Cardiff, to cheer them on, as they took on Tondu RFC in this prestigious event. Sadly they lost to an older, more mature squad in a very exciting match, but brought great credit onto themselves, their families, the club and County. Interestingly, their skipper Tom Harding Jones had another opportunity to perform on this huge stage, as he played for Tenby School squad in the school’s Vase final three days before; some record for such a young, very accomplished player, who has demonstrated huge potential. 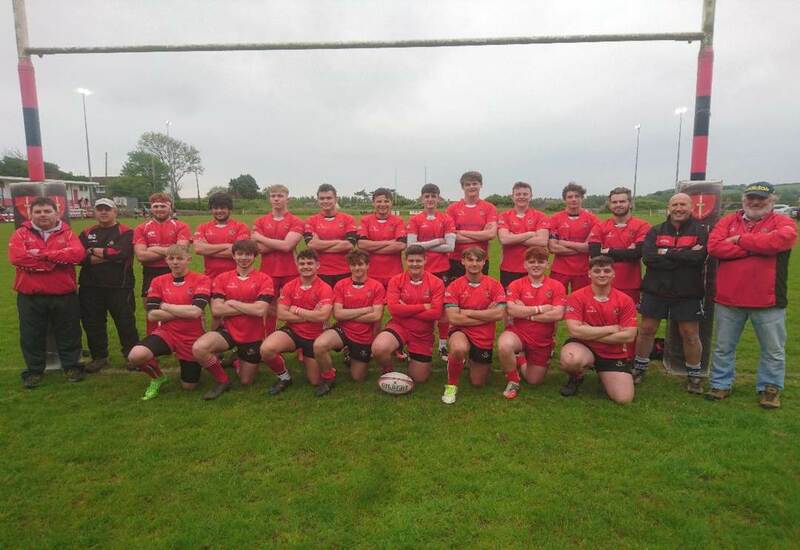 The young U17s, in late May, played a very strong Narberth outfit in the inaugural Mike Fry Cup final at Heywood Lane in Tenby (its perpetual venue). The Pembroke lads put up a very creditable performance, but the power and strength of the Narberth forwards and backs, some excellent interplay and individual excellence from some of their best players, proved too much for the younger Pembroke squad. Meanwhile, the flourishing Second XV has played thirteen fixtures this season and provided a useful stepping stone for many, who have also gone on to perform well in the First XV. Regional WRU officers confirm they have played more than most other clubs in West Wales. The Veterans, under skipper and organiser Robbie Griffiths, have played a few fixtures and enjoyed an eclectic Vets festival tournament. Whilst the First XV has had a truly memorable season, reaching the Pembrokeshire KO Cup final against Aberystwyth at St Davids RFC in late May, where despite losing, put up a very solid performance, despite having played seven games in the four weeks before. Secondly, the squad were recently crowned WRU Division 3 West (A) Champions with two matches left to play. Thirdly, the squad has performed fabulously well in the WRU National Bowl competition, winning through to the final played at the Principality Stadium in late April, a week after the Youth had performed there. The match was watched by a large live crowd as well as a huge television audience, many of whom commented on how exciting and enthralling it turned out to be, between two very skilful, fit and determined sides, who demonstrated the quality of grassroots rugby in Wales; sadly Pembroke lost to a debatable penalty, very late in the game, leaving Porthcawl the worthy winners of a truly memorable match and day out for the whole club. Finally, in the annual interclub memorial Cup competitions, Pembroke won the Eric Brown Cup against the Quins, the Palmer Cup against Llangwm and the Ian Jones Cup against Milford; the Clubs intend keeping these Cup matches alive next season as they form an important part of the history of all of the clubs concerned. 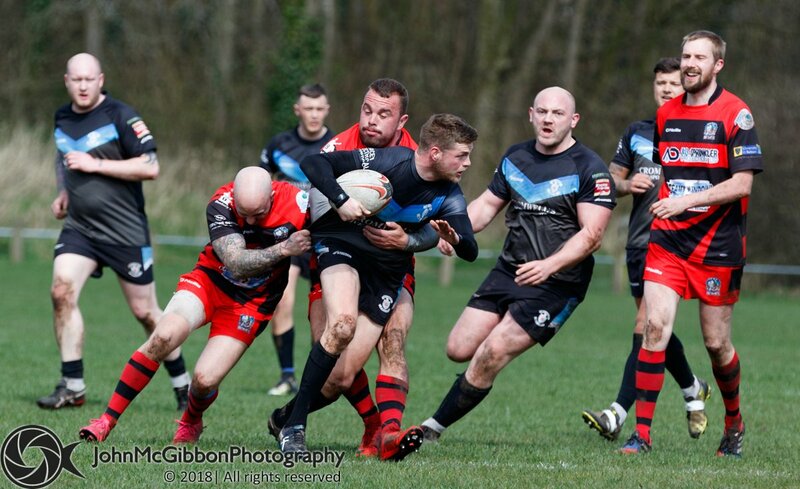 Consequently, there is no doubt that this year’s senior squad has carved their own piece of personal and club history, under the watchful and experienced tutelage of their dedicated, experienced coaches, Geraint Lewis and Kyle Davies. 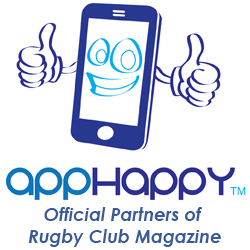 The club’s committee, members, many sponsors, huge band of loyal supporters, players families and friends in the local community are immensely proud of the achievements of all of the club’s teams and most particularly the Youth and First XV, as they have provided so much entertainment and enjoyment for those who have witnessed the playing fortunes of the club fluctuate over many decades. The last time the Club secured the senior Pembs KO Cup was back in 1960-61 and the Youth won the Pembrokeshire Cup in 2006. As a result of these many outcomes, the squads are assured of remaining in the memories of club supporters, who are so proud of their determination, resolve, resilience and above all style, whilst recognising the support from their families, throughout a very long, hard season. The Club has been working hard behind the scenes with the WRU and its solicitors, and will shortly assume incorporated status, which will bring many benefits for all sections and members. 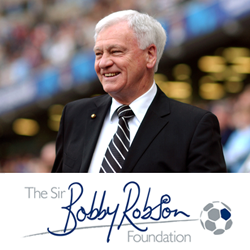 Meanwhile, in recent years the members have also proudly involved themselves in a number of charitable raising events, to raise funds for an ex-player’s injured child, the Bluestone Foundation, the Fisherman’s Mission and other local causes, through a range of activities. At the end of an unusually long season, caused by international breaks, very bad weather and a thrilling run in many competitions, the club’s President Mr John Colley and Chairman, want to post a huge thank you to the main committee, all players and coaches of all age groups, team managers and the many volunteers that work so hard behind the scenes to make this club a hugely successful and happy environment. A huge thank you to all of the main Club, match, match ball, kit, youth and junior teams’, community business and any other sponsors, who have so generously supported all aspects of the club’s operations and development during the past season. Thanks also to the many committees that have marshalled the various sections of the club and the establishment of the new Women’s rugby team, who will start playing in late summer. Major thanks to the small Ladies committee, who have as always provided marvellous hospitality to all teams and visitors, they still need new recruits, so if interested please see Emma and Jayne. This family based club has always had a reputation for giving a warm, friendly, welcome, and excellent hospitality to all teams, supporters and visitors, and long may this continue. Whilst this season has been an exciting, thrilling, very successful and enjoyable journey, there is little doubt that the players are looking forward to a well-earned break and some time with their families and friends. In what has been a very emotional season, which has seen us lose some key, well respected and loved members, we all share our most sincere thoughts at this time with those families in our rugby community, who have lost loved ones, and for those who have relatives and friends in very poor health at this time. We, the Pembrokeshire Scarlets, now look forward to next season, when the senior team will play in Division 2 West, against some old local foes in St Clears and Fishguard and new opposition in Loughor, Carmarthen Athletic, Mumbles, Tumble, Tycroes, Penclawdd, Pontarddulais, Pontyberem and Burry Port. Never miss an issue with our *FREE online subscription! * Free subscription may include promotional content from our Partners.